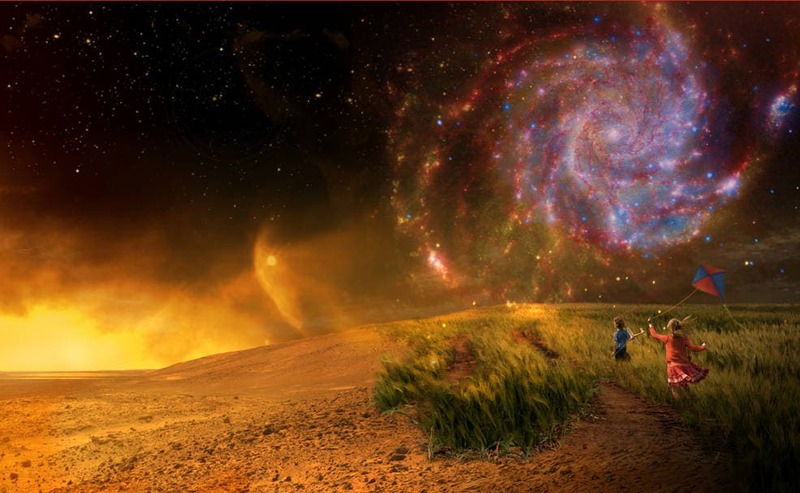 Since 2001 the NASA Astrobiology Institute’s Virtual Planetary Laboratory, based at the University of Washington, has brought an interdisciplinary approach to the study of planets and search for life outside our solar system. The NASA initiative inspired by the UW lab is embracing that same team approach to bring together 10 universities and two research institutions in the ongoing search for life on planets around other stars. Participating institutions will study such topics as planet formation and why so many exoplanets orbit close to their stars; the atmospheres of giant planets transiting — or passing in front of — gas giants; tidal dynamics and orbital evolution of terrestrial-class planets; photochemical haze particles in hot exoplanetary atmospheres and the atmospheres of worlds discovered by the Kepler spacecraft. One team will work with citizen scientists to search for transiting planets in NASA’s public data archive. It’s called the Nexus for Exoplanet System Science, or NExSS for short. The coalition will seek to better understand the various components of exoplanets — those outside our solar system — as well as how their host stars and neighbor planets might interact to support life. The initiative will be led by scientists from the NASA Ames Research Center, the NASA Exoplanet Science Institute at the California Institute of Technology and the NASA Goddard Institute for Space Studies. In addition to the UW, the network includes team members from nine other universities: University of California, University of Maryland, University of Arizona, University of Nebraska and University of Wyoming and Arizona State University as well as Stanford University, Yale University and Hampton University. The UW-based planetary lab is a founding member of the network. The lab combines expertise from Earth observing, Earth system science, planetary science and astronomy to explore factors that could affect the habitability of exoplanets and the remote detectability of global signs of habitability and life. Astrophysicists provide data on the exoplanets and host stars for the application of this systems science framework. Planetary scientists apply systems science to a wide variety of worlds within our solar system. Earth scientists develop a systems science approach by studying our home planet. Heliophysicists add another layer to this systems science approach, looking in detail at how the sun interacts with orbiting planets. The image at the top of the page illustrates the NExSS interdisciplinary approach to the search for life. Participants include those who study Earth as a life-bearing planet (lower right), those researching the diversity of solar system planets (left), and those on the new frontier, discovering worlds orbiting other stars in the galaxy (upper right).